Fast delivery great seller very happy!! Came as exactly described! Happy buyer. 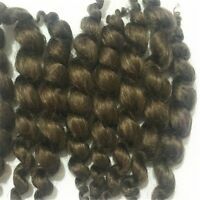 Great seller super fast shipping!!! Love oven can see what you are cooking! Very pleased to have received this oven in less than a week! Out here in the country where we do not have gas lines, we use propane. Propane has gotten so expensive that its costs less to go out to eat then it does to cook using it. So I purchased a Halogen oven to cook with. To be sure its a different style of cooking, and you have to experiment with cooking times. However with that said, this Rosewill oven is my second one. The first lasted 3 years with almost daily use. Here in Florida with the Summer Temps reaching 100 degrees, I can bake a pie or cake, cook a steak or chicken, heat a frozen pizza and never raise the temp in the kitchen. The money I save over air conditioning and propane costs would allow me to buy one of these ovens a month if I needed to, but it doesn't seem that I will need to. Well designed,sturdy,easy to use, and does what its suppose to with no hassle. I could not say enough about now pleased I am with this unit. I have wanted an oven like this for at least 8 months. 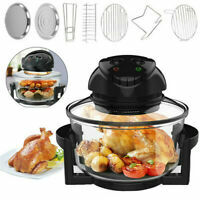 It has a large capacity (up to 18 lb turkey) and both infrared and halogen oven for fast cooking. I also like that it has a glass bowl vs plastic. I used to sell the leading brand that is heavily advertised. This oven is a little less than half the cost of that brand and it has a glass vs a plastic cover. The plastic covers break over time. I like that it includes the extender ring (which is an extra charge on the leading brand). I love BBQ but have not wanted to cook it in 100 degree desert temperatures plus characoal is bad for you. So I made BBQ chicken tenders with thai peanut sauce in about 20 minutes and it tasted JUST LIKE BBQ! The whole living room filled up with the aroma driving my cats crazy! I am thrilled as now I can cook food like turkey and pot roast, quickly and easily and it comes out great. My neighbor already wants this after seeing it and hearing me describe it. I like the health benefits as well as the saturated fat drips to the bottom but meat stays tender and moist. Looking forward to many wonderful meals. There is a warranty but the time period is never explained in the instruction booklet. Yes, directions are sparse - it basically gives you the temperature settings for different kinds of meat and fish. From there you experiment. I used the temp for BBQ and it came out fine. It's like cooking in an oven but much quicker and healthier. The wash cycle on the product is never explained in the directions. They could have been written much better. WORD OF CAUTION: BE SURE to read the directions to make sure you get the most life out of your product. Many people don't and then bad things happen. Also love the fact that it won't heat up the kitchen in the hot summers here in Arizona and is energy efficient! What's not to like? Get one. I live in Arizona and ordered on a Wednesday and received it that Friday afternoon! 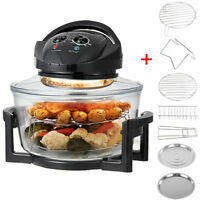 This halogen cooker performs well, cooks thing like chicken fast and easily. It is very easy to clean, and very easy to use. 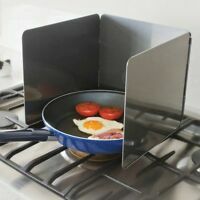 small unit and it will cook almost anything much faster cooking than a stove oven and taste as good and also much faster.